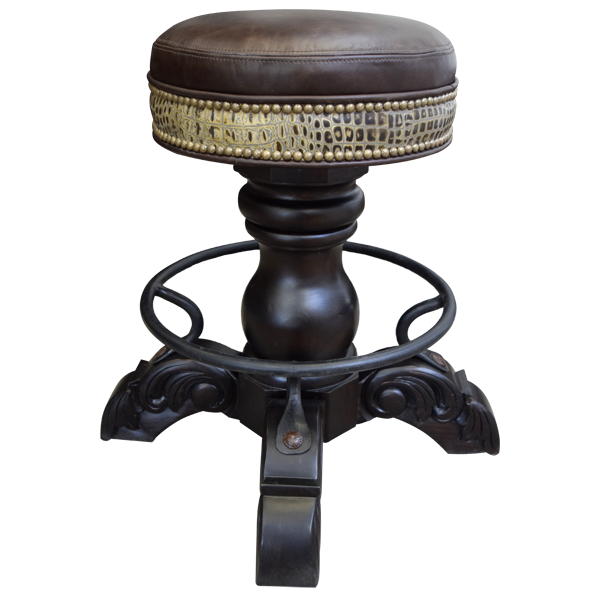 The exotic design of the seat of this bar stool has two tones of leather, a rich solid brown leather covering the upper part of the seat, and embossed simulated crocodile leather on the lower part of the seat. If you are looking for something with quality, but different, this bar stool is for you. 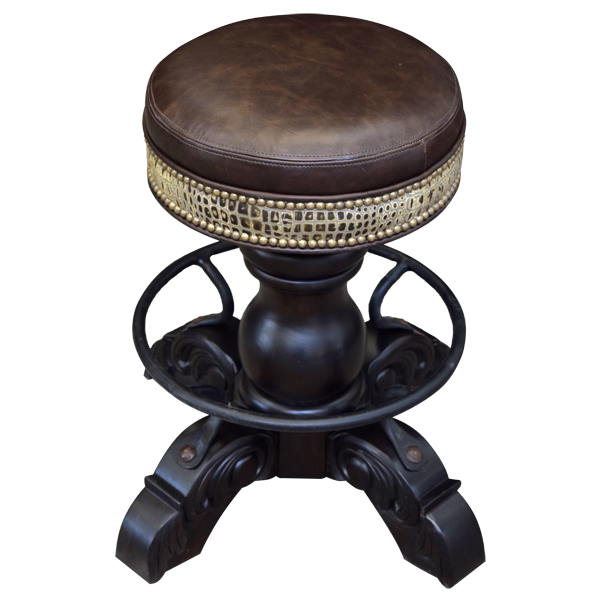 As in all of our El Matador Bajo bar stools, this bar stool has a circular top covered with rich leather and real cowhide hand tacked around the base, trumpet pedestal, four hand-carved feet, and hand forged iron circular footrest. This handcrafted bar stool swivels 360° and is 100% customizable.